Fig or Common Fig benefits the health by curing ailments like stomach problems, constipation, diabetes, bladder stones, mouth ulcers, boils, hair loss, macular degeneration, and so on. In addition, figs help prevent heart disease and certain types of cancers. 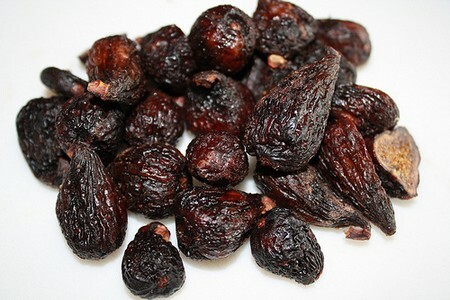 Both fresh and dried figs are considered beneficial. Moreover, you can also use its leaves, bark, root and latex for medicinal purposes. Besides, this delicious fruit is cooked in pies, puddings, cakes, jams, and several baked products. This herb is native to the Middle East; to be specific, Southern Arabia. It is cultivated in Turkey, Egypt, Spain, Morocco, California, Greece, Italy, Central Asia, etc. Figs belong to the moraceae plant family. Figs have anti-diabetic, anti-inflammatory, emollient, restorative, aphrodisiac and laxative properties. Being high in potassium, magnesium and low in sodium, figs are used to control issues like diabetes, hypertension and cardiovascular disease. The fruit contains pectin, which helps lowers blood cholesterol levels as well. Moreover, it can prevent colon cancer, breast cancer and certain inflammations. As figs are rich in fiber, they are often included in weight-loss programs, too. Consuming an infusion prepared from fresh fig leaves improves circulation. The latex of this plant is useful in healing skin sores and warts. Plus, Anjeer or fig benefits in improving bone health. Regular consumption of this fruit helps improve memory and relieve sleeping disorders. Besides, fig leaves, in particular, have anti-diabetes and regulate insulin levels. It helps lower triglycerides. 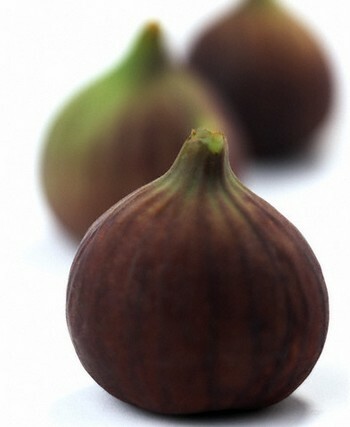 Figs are also useful when dealing with chicken pox, especially in the early stages. Benefits of fig (Anjir) can also be derived from its nutrients. The reason is that figs are rich in calcium, iron, magnesium, potassium, vitamin C, fiber and antioxidants. Plus, they contain omega-3 and omega-6 fatty acids. • Boil three fig leaves in half a liter of water for 15 minutes. Strain and drink this solution on a regular basis to lower blood pressure. Fig leaf tea is helpful in bronchitis. • Grind four fig leaves along with sugar candy. Regularly take this mixture along with a glass of water two times in a day. This fig home remedy is useful in the natural treatment of liver cirrhosis. • Consuming one teaspoon of fig seeds along with a teaspoon of honey daily to control diabetes. Follow this therapy for about a week. • Soak 2-3 dried figs in water overnight and consume them along with a tablespoon of honey in the morning to relieve constipation. Continue taking this medicine for one month for encouraging results. • When dealing with chilblains grind roasted figs along with some honey and apply the resultant paste on your fingers to reduce the problem. • Combination of honey and figs benefits in providing relief from laryngitis and hoarseness in voice. For this, you need to prepare fig syrup by steeping one teaspoon of dried figs in half a cup of water and finally adding honey in it. Drinking this simple home medicine is useful in getting rid of sore throat, too. • Soak a piece of dried fig (Anjeer) in milk and toast it. Place it on swollen gums to get rid of the inflammation. Gargling with fig water is also beneficial in healing this problem. • Add two or three figs in a cup of yogurt. Consume this mixture two times in a day for a few weeks to reduce inflammation of spleen. Here’s video explaining about figs and fig health benefits. • Applying the milky juice of fig stems and leaves on the affected area, three to four times in a day helps cure warts. • Fig benefits in removing kidney stones by having a cup of fresh fig juice for a few days. In addition, you can take a solution of six figs boiled in a cup of water. Follow this fig remedy for about a month. • Take a cup of buttermilk and add a teaspoon of powdered fig bark in it. Drink this solution daily for a few days to get rid of diarrhea. • When dealing with excessive menstruation, apply freshly ground ten fig leaf buds on the lower abdomen. Leave it for a couple of hours and repeat the procedure a few times. • Soak a couple of figs in milk overnight and consume them next morning to increase sexual vitality. • Those suffering from anemia can eat 2-3 figs soaked in a cup of water overnight. Consume these figs along with milk in the morning for a month. • Take one and a half liters of water and add 50 g each of dried figs, barley and raisins in it. Boil the solution. Simmer and keep it covered for about 15 minutes. Next, add 15 g of chopped licorice root in it. Cover and leave it to stand overnight. Finally, stain the liquid and take one teaspoon of this solution. This is an effective figs home remedy for constipation in children. • Applying the milky white juice of fig leaves on the affect areas cures corns and calluses. It is useful in treating insect bites, too. • Chewing a couple of tender fig leaves and then rinsing the mouth with warm water reduces bad breath and mouth ulcers. 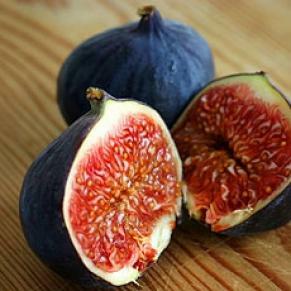 • Another fig remedy for mouth ulcers is having a cup of milk mixed with a teaspoon of powdered fig bark. Continue this procedure for a few days. • Benefits of figs or Anjeer can also be derived when combined with milk and raisins. For this, you need to boil a cup of milk mixed with 2-3 figs and a tablespoon of raisins. Drink this solution regularly in the morning to heal eye problems. • Simply eating a couple of figs after meals cures constipation caused by diabetes. • Applying the latex of fig tree relieves arthritis swelling. • Dry two cups of fig root out in the sun for three days. Then, crush and add them in a cup of coconut oil for 15 days. Finally, regularly massage your scalp with this oil to reduce hair loss. In the Mediterranean countries, figs (low grade) are used for preparing alcohol. The latex of this plant is dried, powdered and used for coagulating milk for preparing cheese. Although fig benefits in improving health and vitality, it may cause allergic reactions like diarrhea, vomiting, itching, rashes, etc. in certain individuals. Moreover, fig latex may lead to bleeding in the digestive tract. Besides, it is better to avoid taking this herb as a medicine about two weeks prior to a surgery.